“Technology” may not be the first word that comes to mind when you think of sleep, but as you’ll soon see, it’s certainly becoming a factor. Between changing the way we buy mattresses to tracking our rest and even recording our sleep-talking, our sleep is quickly becoming high-tech. There’s no doubt that a mattress is a significant purchase. People who don’t choose wisely will not only be out a lot of money, but also might have to suffer through fitful nights of sleep. As a result, many individuals nervously look for research before making a mattress purchase, and many turn to the Internet for help. Michael Magnuson is the founder and CEO of a company called Revv Media, which is behind the GoodBed website. Think of it as TripAdvisor for beds. This website is a great tool for people to get mattress reviews before they head to the store or shop online. With more people trusting online reviews than ever before, this is a great way for mattress companies to use technology to show that people like their product. Before the Internet was such a large part of almost everyone’s daily life, a person usually just decided he or she needed a mattress, and then headed into a local store to try several of them before settling on one. Now, it’s different because consumers use the Internet to do careful research and may make shortlists of preferred mattresses. Mattress sites are making it easier for consumers to feel empowered before making what’s usually considered to be an extremely important and frequently used purchase. Dr. Snooze puts reviews directly on its own site, like this one for a Beautyrest Recharge. 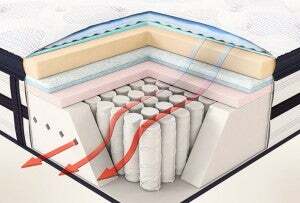 It also gives an extremely detailed description, showing how mattress technology has improved to allow ventilated foam for more air flow and better sleep. It sure beats the old sites that just had a picture of a mattress and nothing else. You’ve probably heard of the Sleep Number mattress. It’s possible to pin down your desired firmness or softness level with a particular number that can be different from that of someone else who is also sharing the bed. The company that created the mattress is branching out to rely on technology again with a system that tracks the way you sleep in hope of helping you improve the quality of your slumbers. The addition is now available on all Sleep Number mattresses. The data is collectively known as your SleepIQ score, and it measures things like heart rate and breathing patterns. 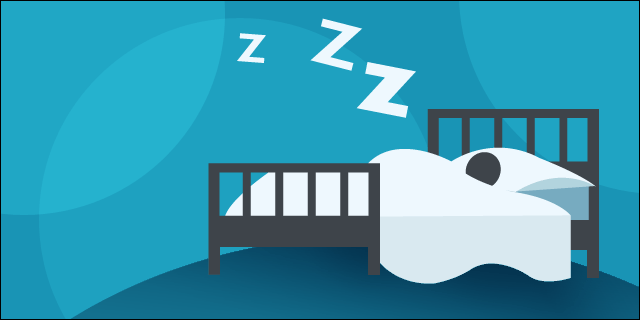 Also, unlike some similar products that you must wear or activate before sleeping, the technology on the Sleep Number mattresses is built in, so all you have to do is drift off into dreamland. The SleepIQ information is recorded in a digital journal that you can refer to over time to identify factors that may help you sleep more soundly on a regular basis. 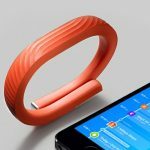 You can also track your sleep using the Jawbone Up. 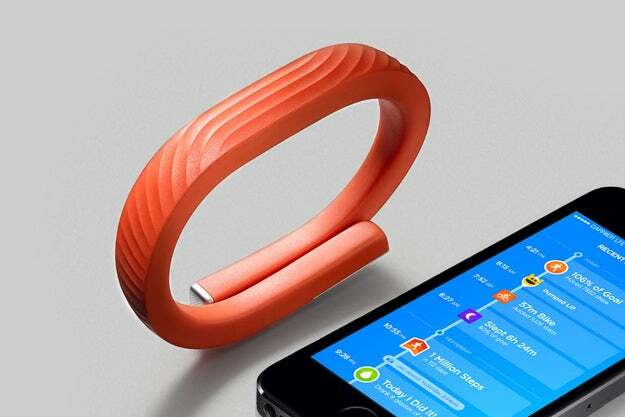 It’s a wrist band you wear 24/7 that keeps track of all your health data, including your sleep. 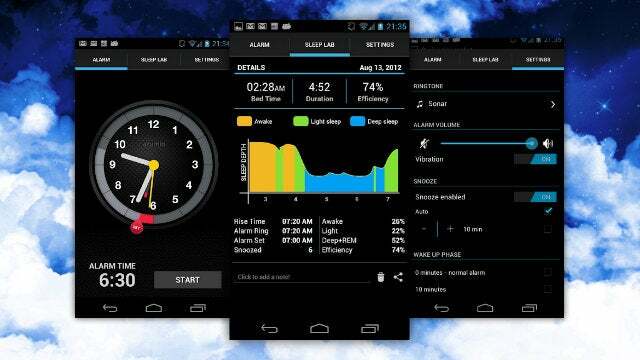 It gives you bedtime reminders, lets you know when you should take a nap, and more. Maybe the best feature is the alarm. Instead of a pesky alarm clock, the Jawbone will track your REM cycle and wake you up at the best possible moment, allowing you to feel refreshed and ready to start the day. No more “waking up on the wrong side of the bed” feeling. With the average person spending 26 years of their life sleeping, I’m glad technology is rapidly changing. Do you use any new tech to help you get to sleep? Or do you use sleep to finally get away from technology? Let us know in the comments!